The following table shows the ranking of the national teams by total number of medals won at the official IWF World Championships and Olympics won by Japan. 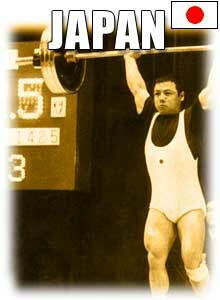 The list is sorted by total number of medals won by lifters at the official IWF World Championships and Summer Olympics. To view the detailed information on each lifter, please follow the link associated with his names. The following table shows the ranking of the national teams by total number of the official IWF world records set by Japan. The list is sorted by total number of world records set by lifters. To view the detailed information on each lifter, please follow the link associated with his names.